We are helping Kgotso by contributing towards his education. Ethos focuses on Africa and we would like to make a positive contribution to the continent. The gap between wealthy and poor citizens in South Africa is said to be the biggest in the world. Not only is there a disparity in wealth, but also in the quality of education which citizens receive. Despite 24 years of democratic rule, as well as a generous education budget, the government has not been able to level the playing field. Schools are not segregated, but traditional "white schools" are now fee paying schools so that they are able to engage extra teachers and offer better facilities. Most of these so called Model C schools are well integrated, with most of the black children busing in from the townships. By assisting a disadvantaged child to receive an excellent education we believe we can make a positive impact on both his family, his community and in turn his country. 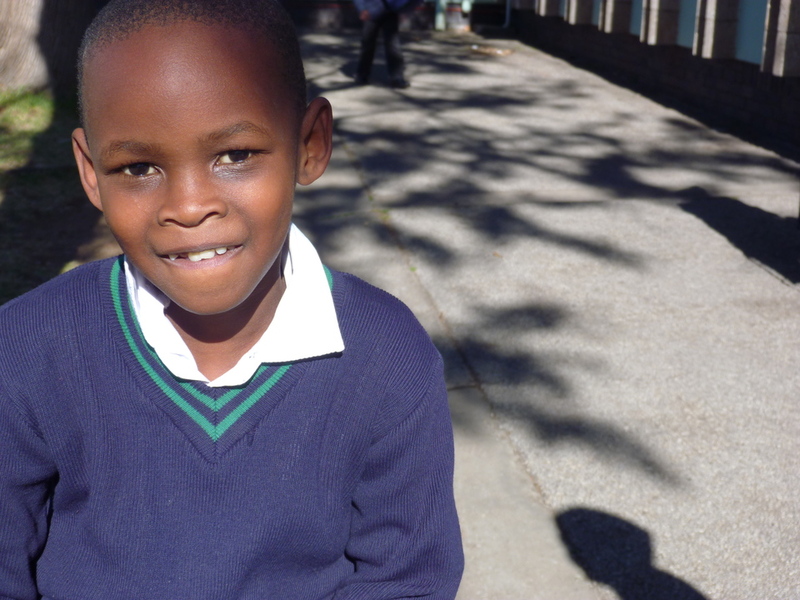 We have chosen to sponsor Kgotso who is in Grade 2 at Greenwood School in Port Elizabeth. In order to be prepared for school, Kgotso attended play groups and preschool in the city, for three years. This is his fourth year at Greenwood and his fees have been paid in full by his parents who both have low earning jobs. For the past five years, their contribution to his education equated to more than 10% of their gross income. His family have recently welcomed a baby brother and there has been a strong possibility that they would have to send Kgotso to a non paying township school. As his parents have shown such a huge commitment, we were approached to assist. We have undertaken to pay his annual school fees. His parents will be responsible for transport and sundry expenses.